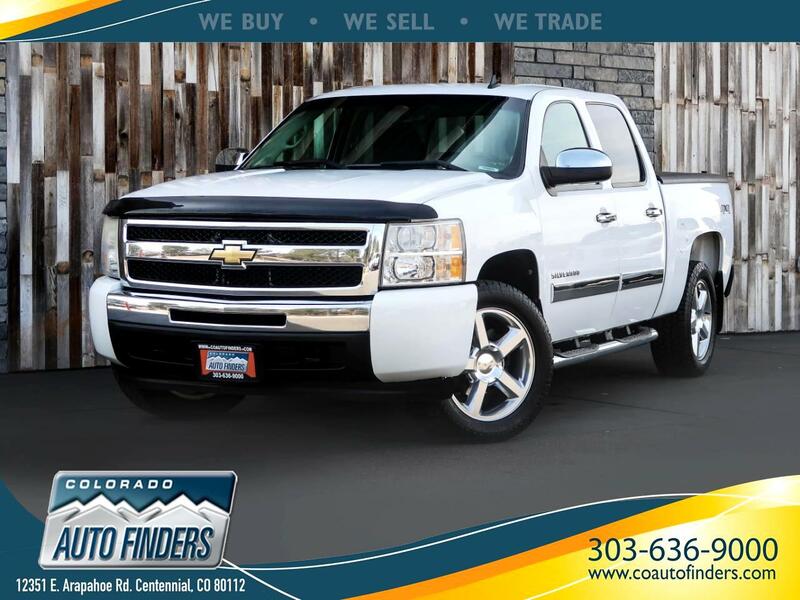 This 2010 Chevrolet Silverado for sale in Centennial, CO. This Chevy is super clean, amazingly reliable and has a nice amount of practicality with its Sturdy Tonneau Cover. Other features on this workhorse include Power Windows/Locks/Mirrors, AM/FM/AUX Radio, Automatic Headlights, Trailer Hitch, Running Boards, and Front/Rear Bench Seats.